Millions of Americans will be honoring the legacy of America’s presidents on Monday even though a national Presidents Day holiday is pure fiction. Officially, the holiday has another name. The annual event is also pegged to a gigantic motor vehicle sales push in neighborhoods across the country, which is definitely not fictional. To set the record straight, the third Monday in February is a federal holiday, meaning that federal employees get the day off and federal offices are closed. Officially, the holiday is called Washington’s Birthday, to honor the first American president, George Washington. 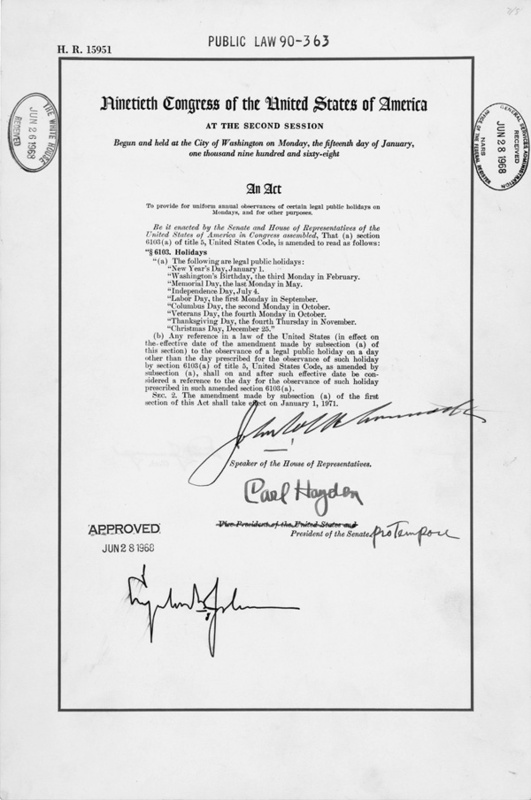 The date for the annual federal holiday was established by Congress with the Monday Holidays Act, which went into effect in 1971. But dozens of states celebrate the presidential legacy, or the hope of getting a really great deal on a car, on the same day. In 2012, one website, Geometrx, went to the trouble of looking at the official holiday calendars for all 50 states, in a quest to see who actually calls the holiday “Presidents’ Day,” or “President’s Day,” or “Presidents Day.” Or something else. The tally showed that approximately 16 states celebrated Presidents Day, and another 15 states observe Washington’s Birthday. Nine states don’t observe a holiday on the third Monday in February. The other celebrated a holiday that includes the words President, Washington, Lincoln, Thomas Jefferson, and Daisy Gatson Bates, in some combination. The real challenge is sorting through the varying punctuation of “presidents”—it's enough to make any copy editor dizzy. In 17 states it was Presidents' Day (plural possessive), in five states it was Presidents Day (plural), and in four states it was President's Day (singular possessive). Much to the chagrin of copy editors, there is nothing close to national consensus on the pseudo-holiday’s name. Whatever it's called, though, car dealers are all over it. The industry latched onto the holiday in the 1970s and, through a grassroots effort, promoted the name as synonymous with savings. Of course, department stores and numerous other retailers have promoted sales over the weekend, much like other three-day holiday weekends. The holiday’s timing, after the Monday Holidays Act was passed, was perfect. Mid-February was a good time for dealers to launch the spring sales line, and people were off from work with some free time to spare. While the advent of online car sales and fixed pricing may have diminished some of the sales hype for Presidents Day (or President’s Day or Presidents' Day), it’s still a big deal for the industry.